Every year the Library of Congress hosts a meeting on Designing Storage Architectures for Digital Collections, aka the Preservation Storage Meeting. 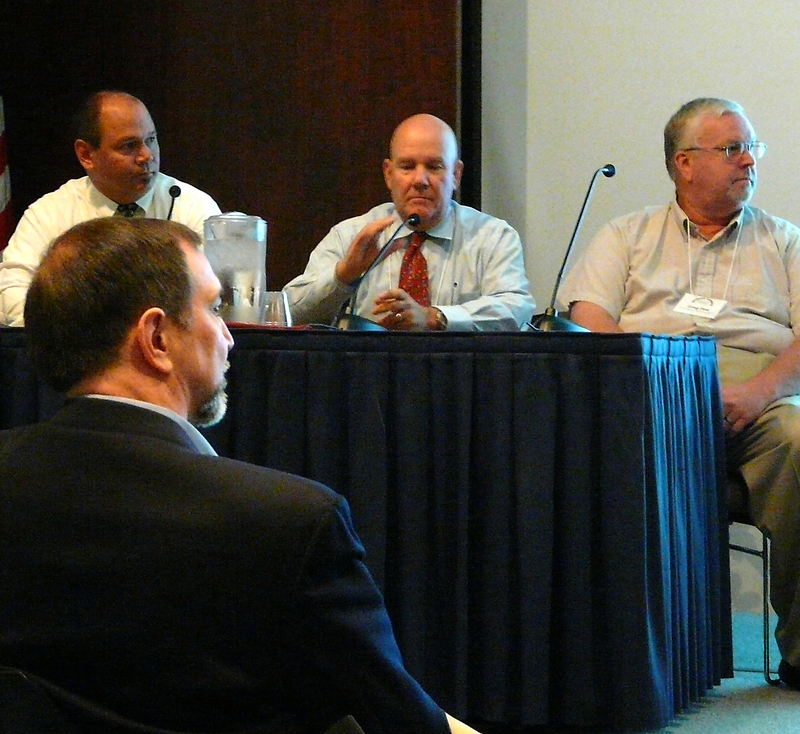 The 2013 meeting was held September 23-24, and featured an impressive array of presentations and discussions. Library of Congress staff kicked off the meeting by discussing some of the Library’s infrastructure and needs. The Library is recording its files in its inventory service, which includes fixities for future auditing. We have a wide range of needs, though, which vary with the type of content. The data center where preservation and access copies of text and images are primarily stored manages millions of files in 10s of petabytes. The data center where preservation and access copies of video and audio are primarily stored manages approximately 700k files in 10s of PB. The different scales of file numbers and sizes mean different requirements for the hardware needed to stage and deliver this content. In terms of the Library’s storage purchases, 30% is purely for capacity expansion, and 70% is for the ongoing refresh of technology, which often also includes adding capacity. Tape technologies are always a big topic at this meeting. T10K tape migration is ever ongoing. Interfaces to tape environments reach end-of-life and are unsupported within 5-10 years of their introduction, according to Dave Anderson of Seagate. According to Gary Decad of IBM, rates of areal density increases are slowing down, and the annual rate of petabytes of storage manufacturing is no longer increasing. Tape is by far and away the highest MSI (millions of square inches) of storage in production use. Tape, hard disk drive, and solid state storage are surface-area intensive technologies. Many meeting participants believe that solid state improves Hard Disc Drive technology. Less obvious for preservation concerns is the impact of NAND flash storage on the use of hard drive storage. To replace enterprise hard disk drives will be exorbitantly expensive, and is not happening any time soon. Across the board there must be technologies licensed to multiple manufacturers and suppliers for stability in the marketplace. But it is extraordinarily expensive to build fabrication facilities for newer technologies such as NAND flash storage. The same is true for LTO tape facilities, not as much for the expense of building the facilities but for the lack of profitability in manufacturing. After the presentations at this meeting I more familiar with the licensing of storage standards to manufacturing companies than I was before, and the monopolies that exist. The cloud is not a technology, it’s a business model. The technology is something you can use yourself. Jeff Barr of Amazon commented, “I guess I am the official market-dominating drug dealer.” But Amazon very much wants to know from the community what it is looking for in a preservation action reporting system for files stored in the AWS environment. The session on standards ranged from an introduction to NISO and the standards development process (with a wonderful slide deck based on clip art), to identifiers and file systems, and the specifics of an emerging standard: AXF. A relatively new topic for this year’s meeting was the use of open source solutions, such as the range of component tools in OpenStack. HTTP-based REST is the up-and-coming interface for files – the technology is moving from file system-based interfaces to object-based interfaces. Everything now has a custom storage management layer from the vendor. Other forms of media were also discussed. Two of the most innovative are a stainless steel tape in a hermetically-sealed cartridge engraved with a laser, and another that is visually-recorded metal alloy media. Optical media is also not dead. Ken Wood from Hitachi pointed out that 30-year-old commercial audio CDs are still supported in the hardware marketplace, and that CDs still play. Technically that has just as much to do with the software interface with error correction still being in play as the hardware still being supported. But mechanical compact disc players and storage are disappearing with the rise of mobile devices and thin laptops which have no optical players or hard discs. You should really check out the agenda and presentations, which are available online. This is a syndicated post. Read the original at The Signal: Digital Preservation 2013-10-30.